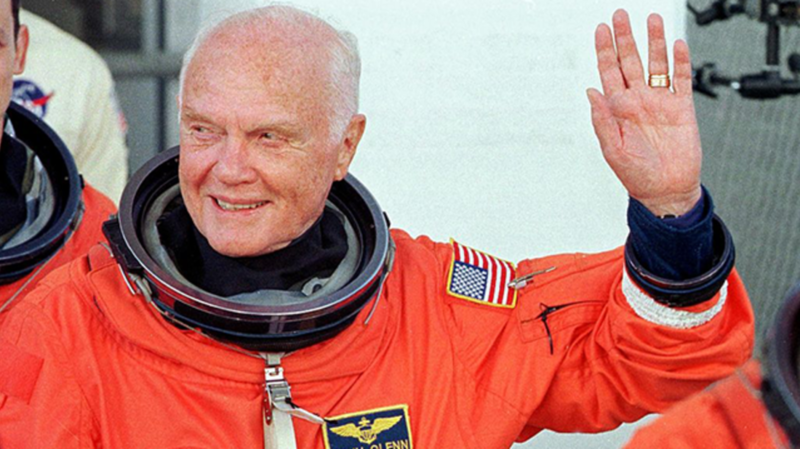 “If this cynicism and apathy are allowed to continue to fester, it will not only be dangerous, but in our democracy it will be suicidal,” he said upon the creation of the John Glenn Institute of Public Service at Ohio State. He went on to become an adjunct professor there, teaching late into his life. As he made history as the first American to see Earth from orbit, his response was simple: "Oh, that view is tremendous," he said over the radio. “The most important thing we can do is inspire young minds and to advance the kind of science, math, and technology education that will help youngsters take us to the next phase of space travel,” he said as the spokesperson for National Space Day in 2000. “You fear the least what you know the most about,” he said in the two months of continuous postponements that preceded his historic 1962 flight. As his orbiter, Friendship 7, reentered the atmosphere, he worried his heat shield had come loose, and he could see fiery chunks flying past his window. But his words to his capsule director were calm and cheeky. “My condition is good, but that was a real fireball, boy,” he said upon landing in the ocean.